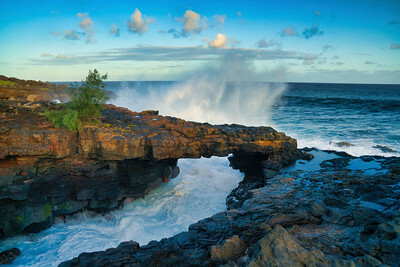 Queen's Bath is a large pool filled with water from large crashing waves amongst a lava shelf. 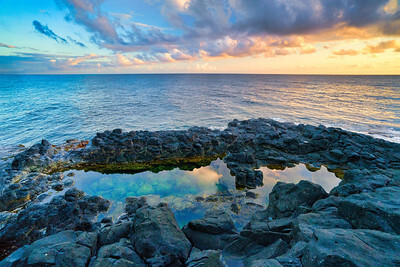 This pool is a popular bathing area. 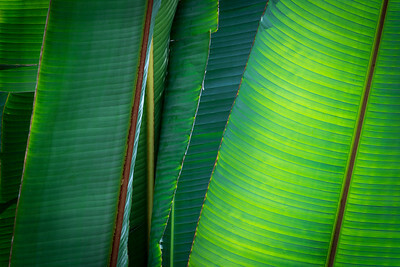 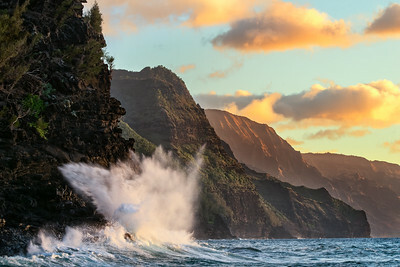 North shore, Kauai, USA. 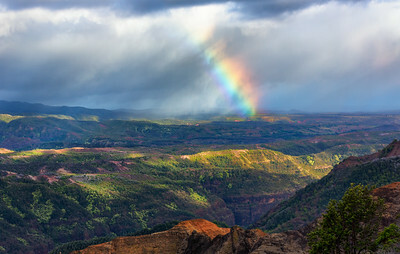 Rainbow Over Waimea Canyon, Kauai, Hawaii, USA. 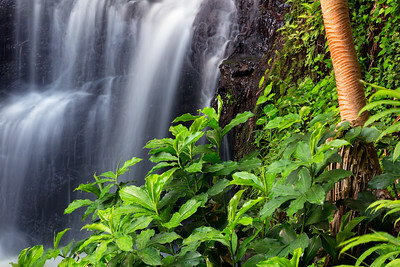 Wailua Falls is a 83-foot waterfall located near Lihue that feeds into the Wailua River. 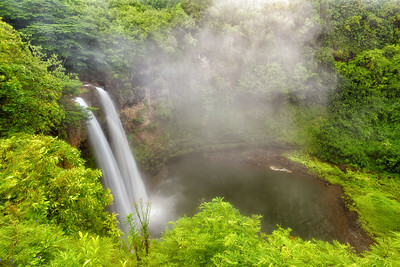 The waterfall is prominently featured on the opening credits of the television series Fantasy Island., Kauai, Hawaii, USA. 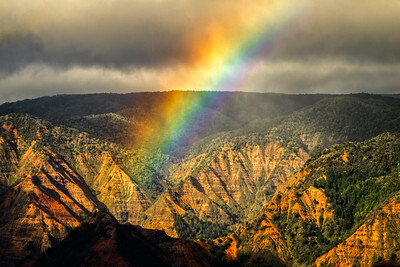 A vivid rainbow forms over Waimea Canyon, Kauai, Hawaii. 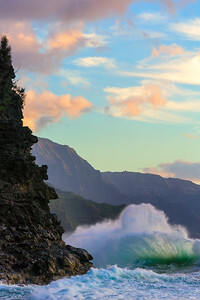 A backlit wave and explodes against the Na Pali Cliffs, Kauai, Hawaii. 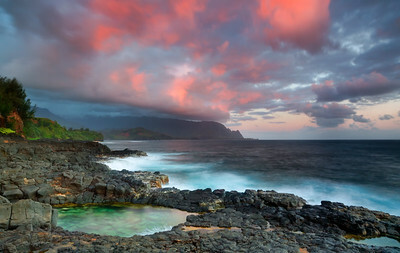 The Queen’s Bath, Kauai, Hawaii, United States. 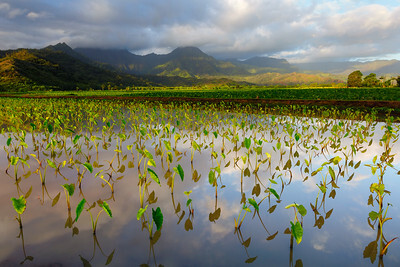 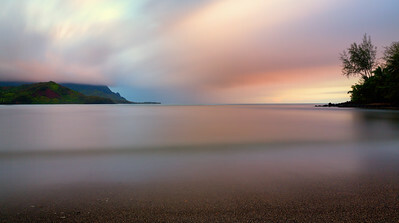 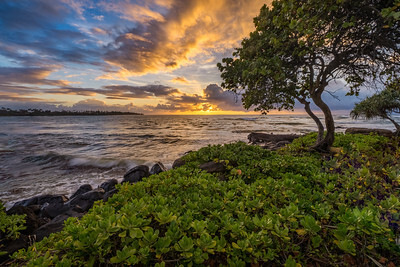 A 6-minute exposure allows for a smooth look to the water and sky at Hanalei Bay, Kauai, Hawaii. 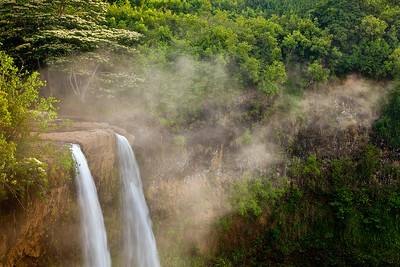 Morning mist hovers over Wailua Falls (80 feet tall) along Highway 583 in Kauai, Hawaii, USA. 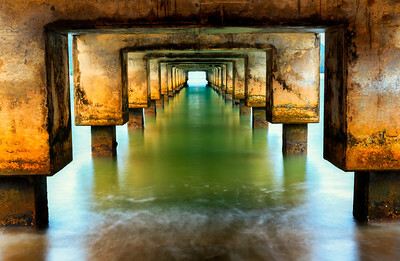 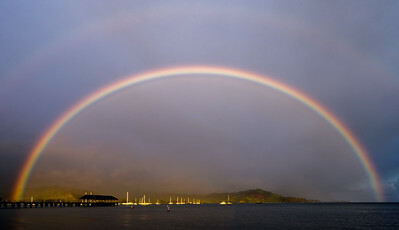 A repeating pattern of pier pilings and a long expusure smooths water under Hanalei Pier, Hanalei Bay, Hanalei, Kauai, Hawaii, USA. 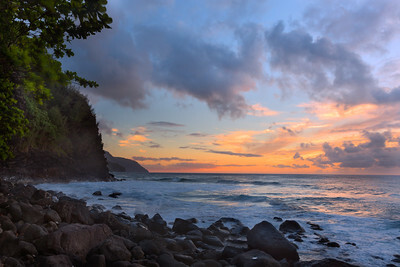 A dusk sky hovers over Na Pali Cliffs as seen from a point north of Ke'e Beach, Kauai, Hawaii. 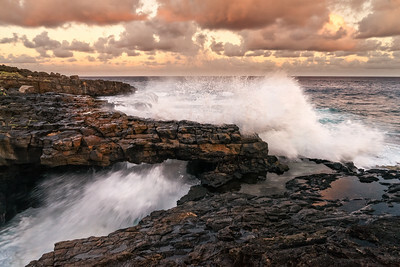 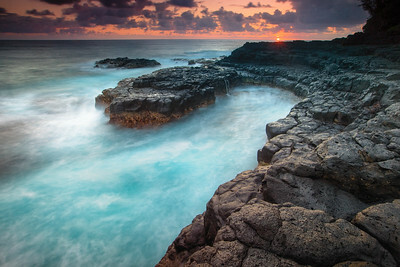 Waves rush around lava shelf at sunrise near Queen's Bath, Kauai, Hawaii, USA. 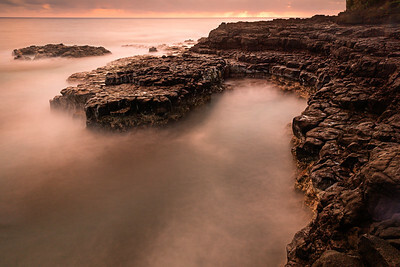 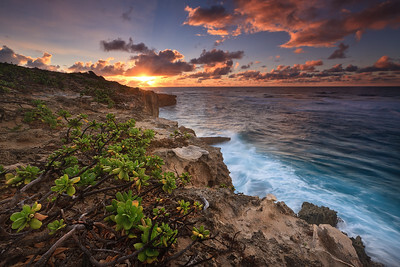 Lithified cliffs (the transformation of sandstone into rock through compression), and Napauka at sunrise along the eastern shore of Kauai, Hawaii, USA. 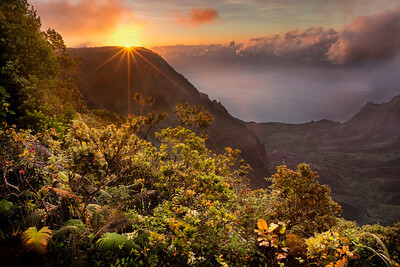 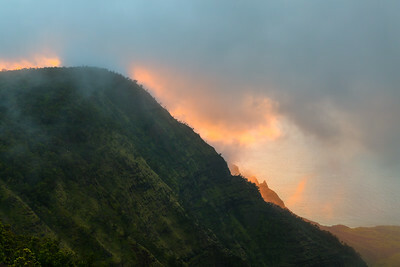 Sunset light paints the clouds above the Na Pali cliffs, Kauai, Hawaii. 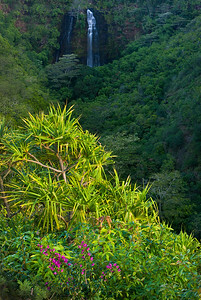 Opaeka'a Falls and wildflowers, Kauai, Hawaii, USA. 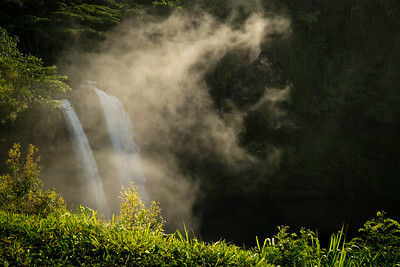 Waimea Falls, Kauai, Hawaii, USA. 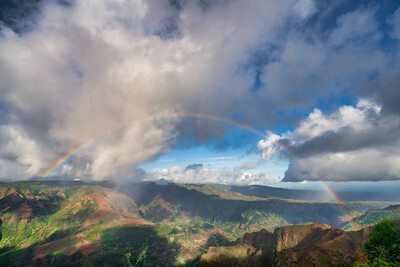 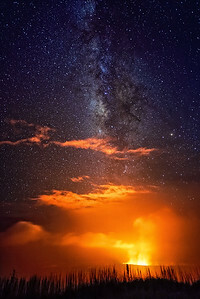 Waimea Canyon, located on the southwestern side of Kauai, is 10 miles long by 1 mile wide at a depth of 3500 feet. 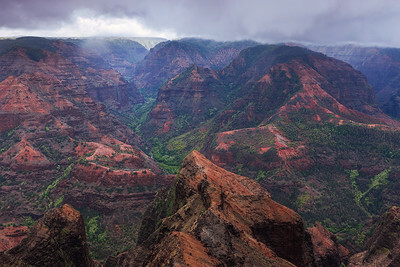 The canyon was formed by various volcanic eruptions and subsequent lava flows. 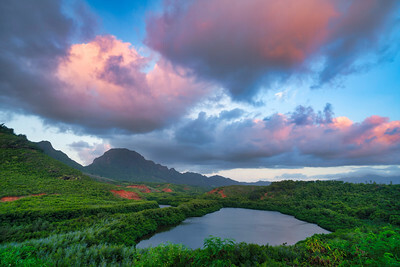 Kauai, Hawaii, USA.